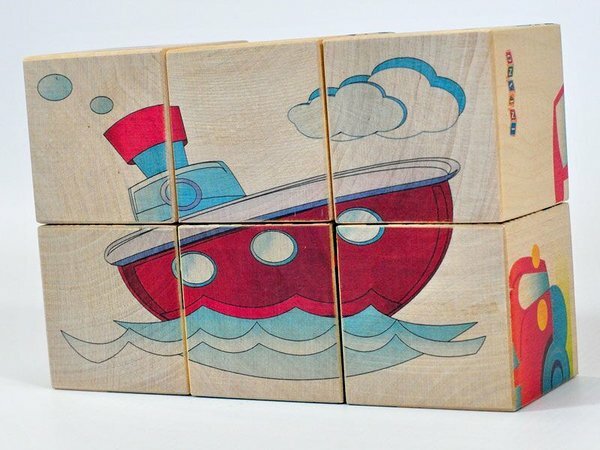 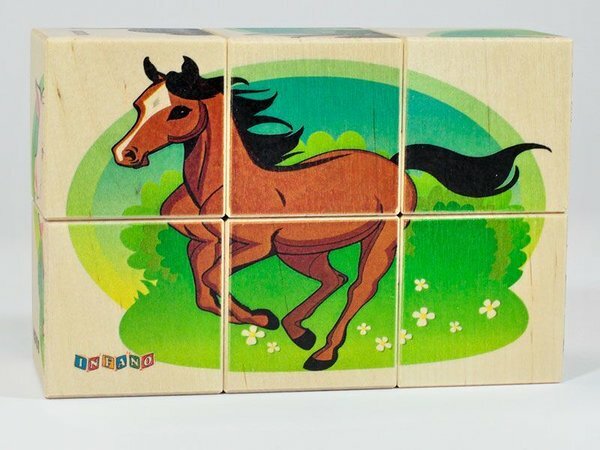 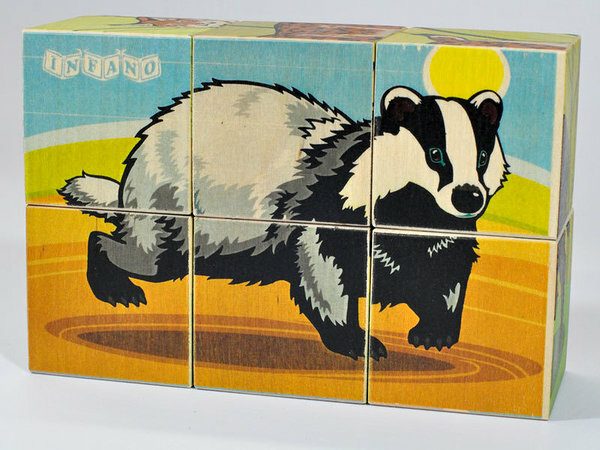 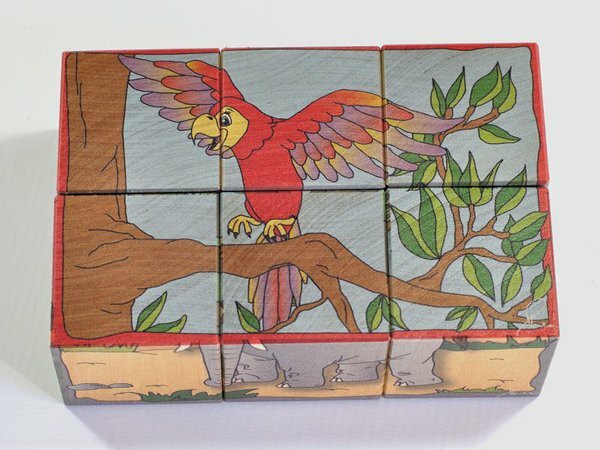 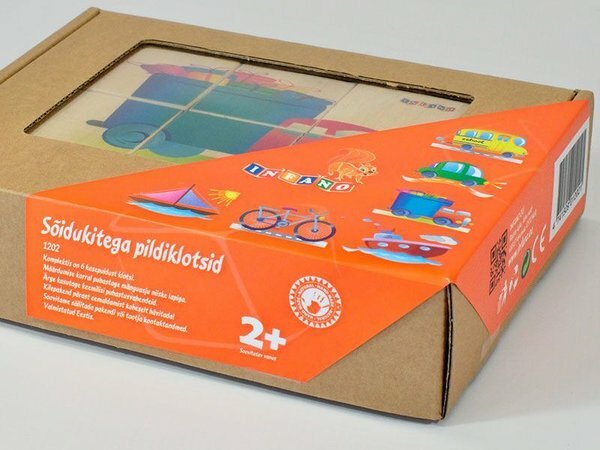 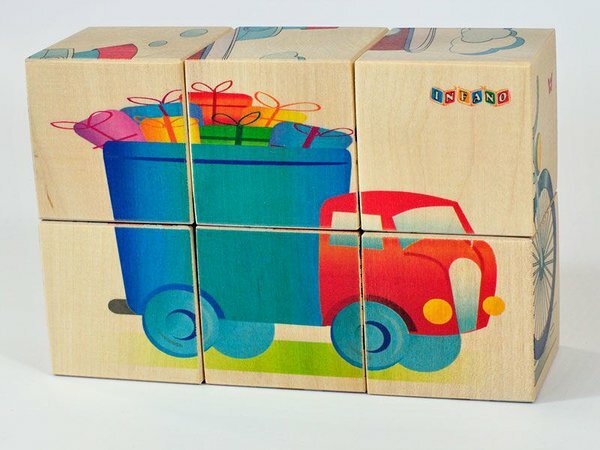 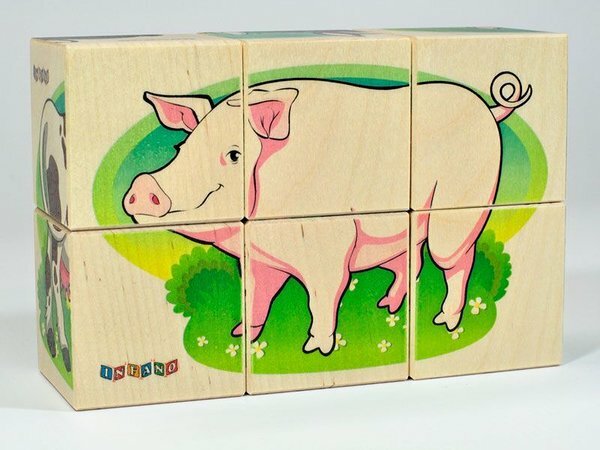 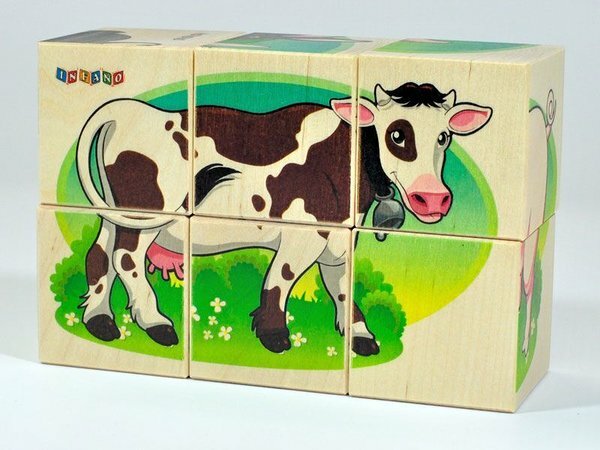 Wooden blocks and puzzle all together! 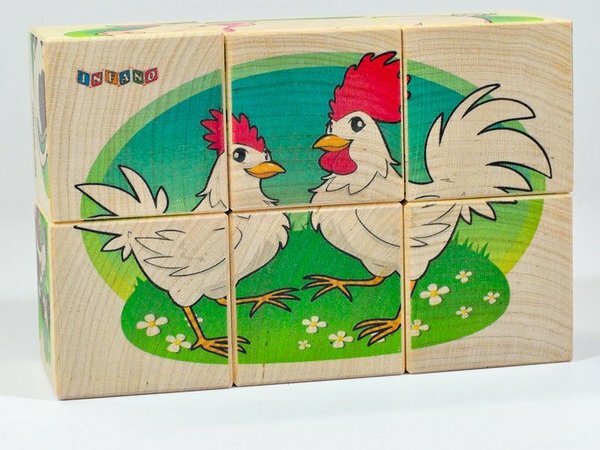 Cow, pig, sheep, horse, rabbit, rooster, and chicken. 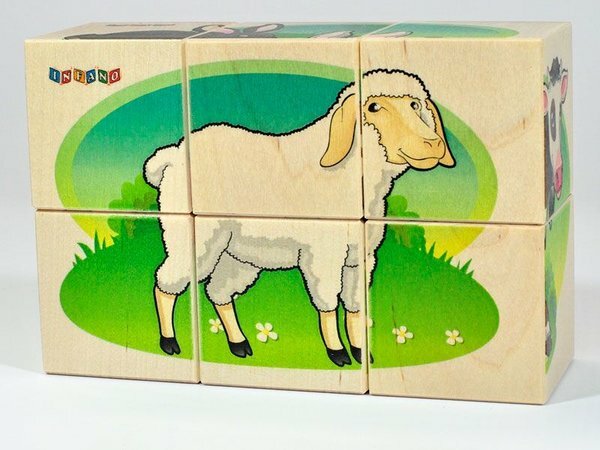 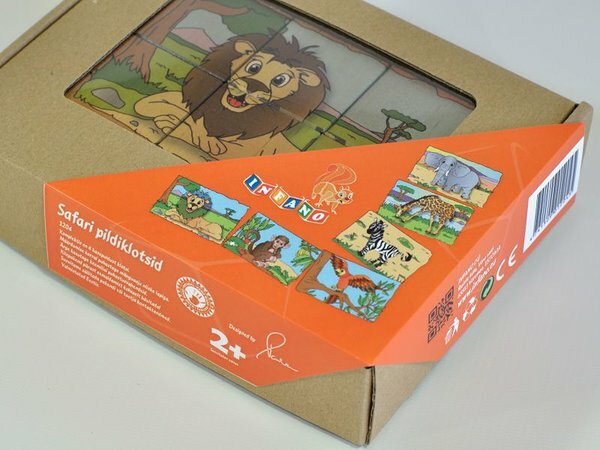 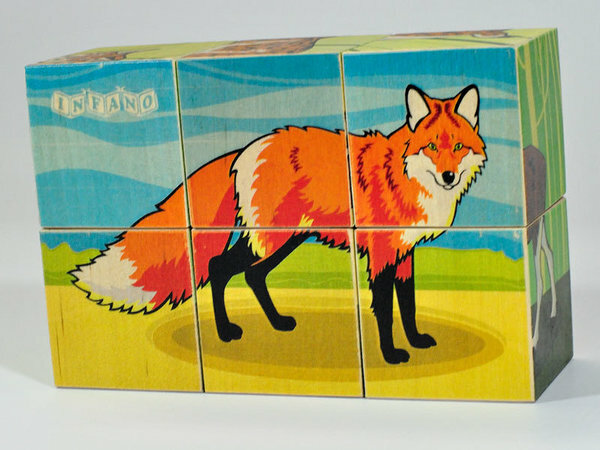 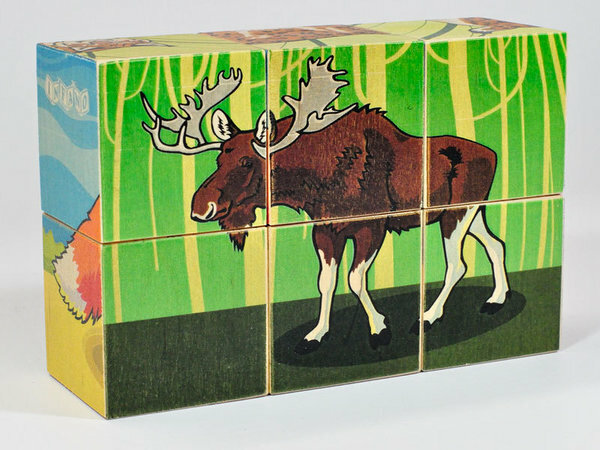 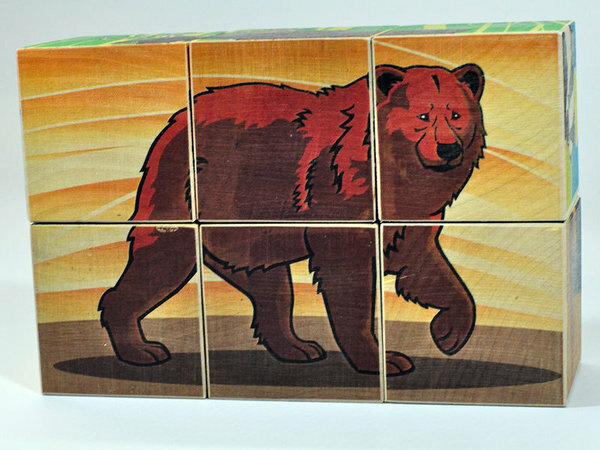 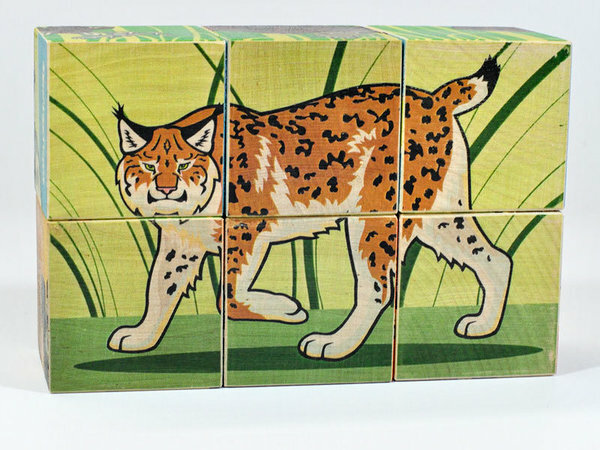 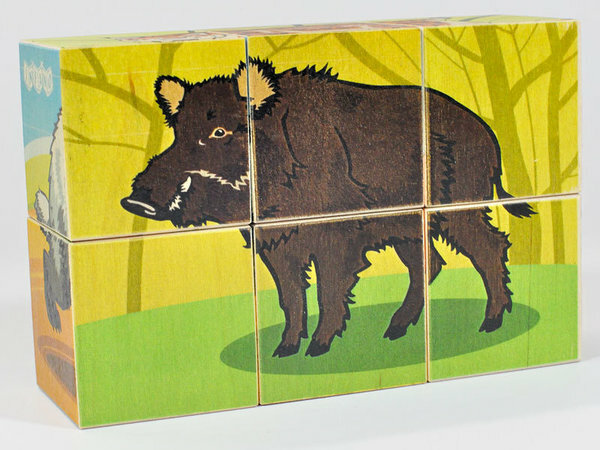 All prints of these animals can be combined with six blocks which are included in the kit. 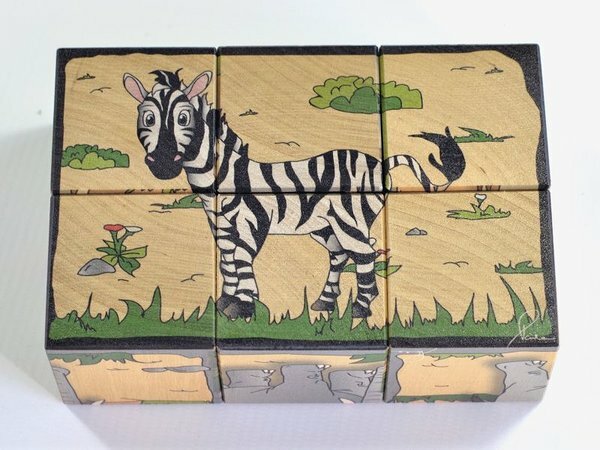 Wooden blocks and puzzle all together! 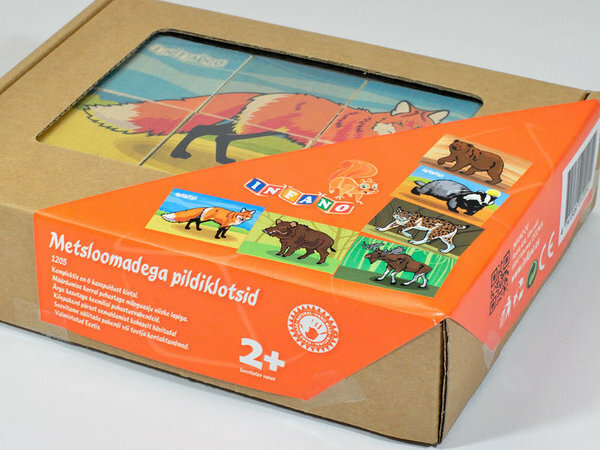 Fox, elk, wild boar, badger, lynx, and bear. 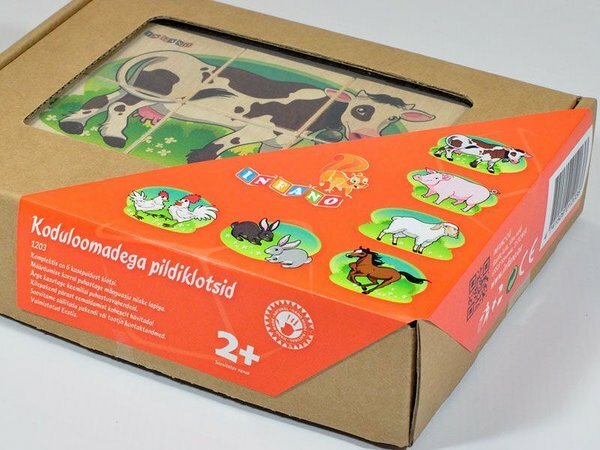 All prints of these animals can be combined with six blocks which are included in the kit. 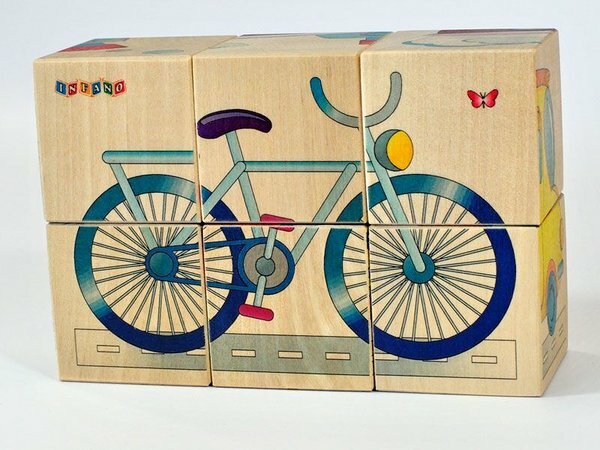 Wooden blocks and puzzle all together! 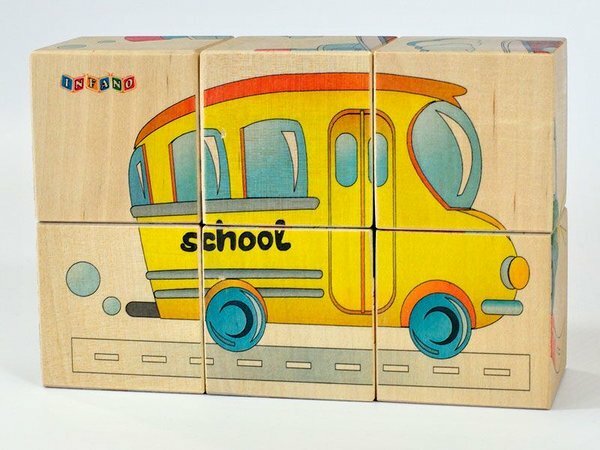 Blocks and puzzle- all together! 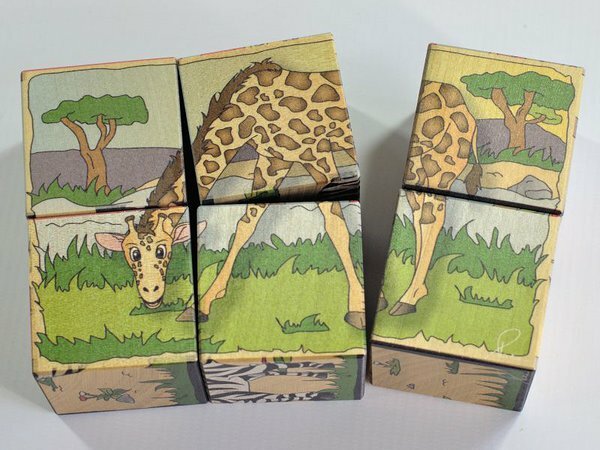 Lion, zebra, monkey, giraffe, elephant, and parrot. 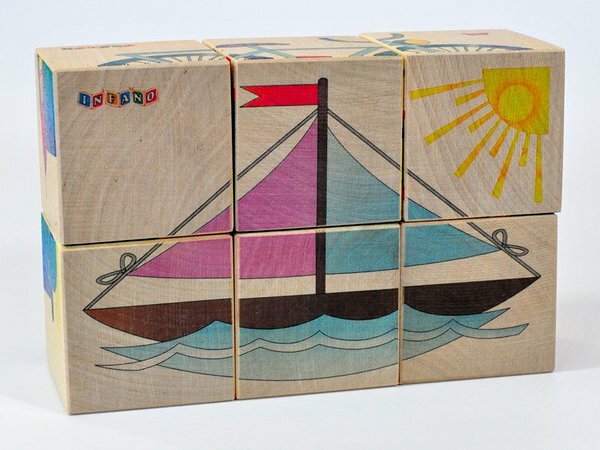 All these six different themes provide consistent challenge and entertainment for your child. 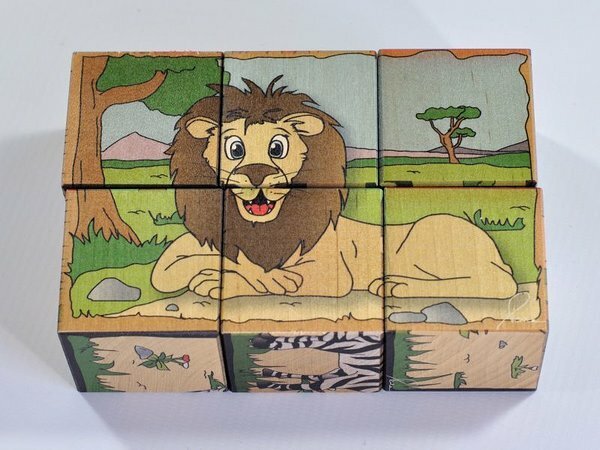 Blocks and puzzle - all together! 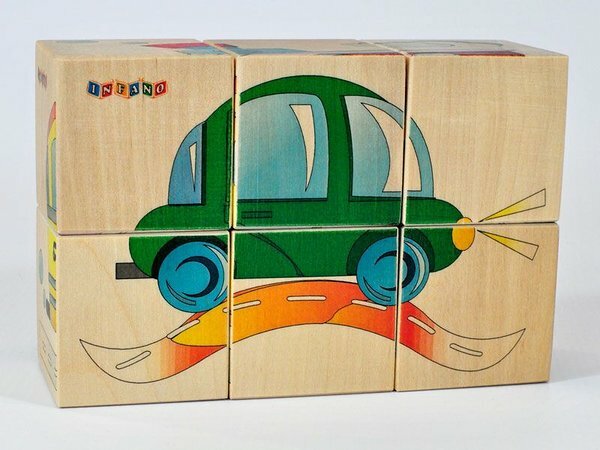 Car, bus, truck, bicycle, boat, and sailboat. 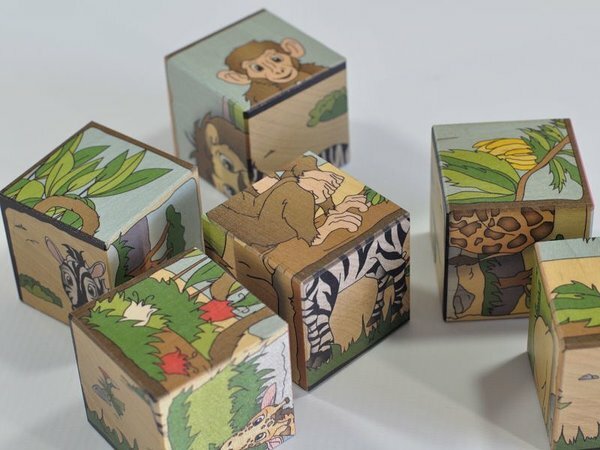 All these six different themes provide consistent challenge and entertainment for your child. 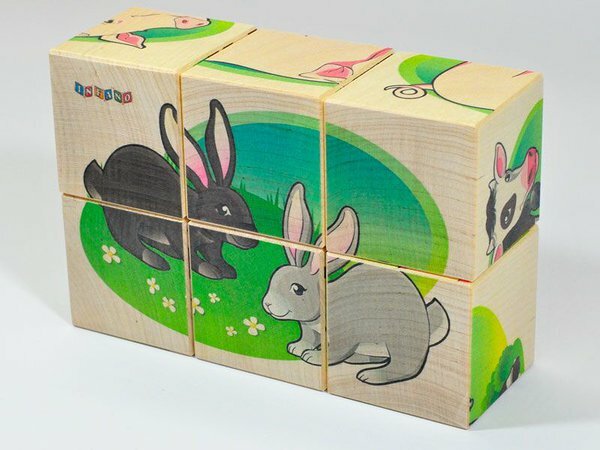 With these funny fashion blocks, you have several options to create different outfits. 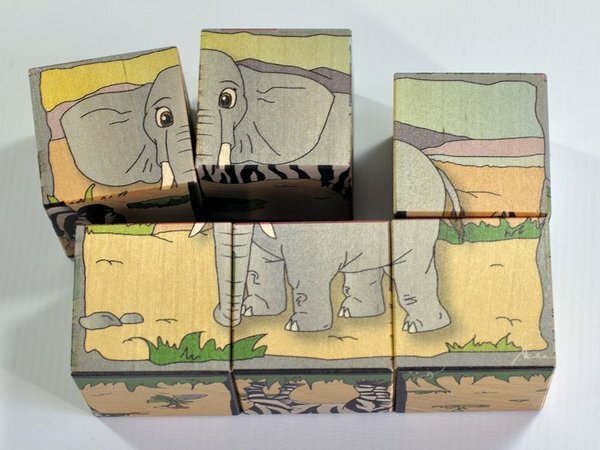 Turn, switch and sort by the head, body and feet pictures until you get the desired result.